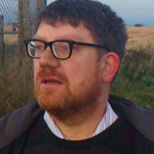 Beginning his working life in the aviation industry and trained by the BBC, Tony Gosling is a British land rights activist, historian & investigative radio journalist. Over the last 20 years he has been exposing the secret power of the Bank for International Settlements (BIS) and élite Bilderberg Conferences where the dark forces of corporations, media, banks and royalty conspire to accumulate wealth and power through extortion and war. Tony has spent much of his life too advocating solutions which heal the wealth divide, such as free housing for all and a press which reflects the concerns of ordinary people rather than attempting to lead opinion, sensationalise or dumb-down. Tony tweets at @TonyGosling. Tune in to his Friday politics show at BCfm. The English speaking media sold the new governor of the 'Old Lady of Threadneedle Street' to the good people of England as a decent chap, from the jolly old ex-colonial Bank of Canada. However, Mark Carney's gold-plated references from the central bankers' central bank, the Swiss Bank for International Settlements (BIS), were mysteriously ignored. Sitting on the global super-bank's board in Basel, Carney was selected for two BIS strategic bodies, each of which come complete with golden keys to the global money system. The 'Committee for the Global Financial System' making global policy as well as the 'Financial Stability Board' (FSB) charged with setting out global banking regulation. It may be impolite to mention it in polite City of London circles but both Mark's committees have proved themselves irredeemable disasters. So why did anyone in their right mind even consider him for the big job? Is Mark Carney a Canadian central banker, private Swiss mega-banker, regulator, or all three? Nowadays its difficult to put a cigarette paper between any of these jobs. The world's central banks have neat little monopolies in national currencies and are almost exclusively private concerns playing the casino economy for private profit. Democratic institutions are perceived in the same 'polite' circles to 'interfere with' rather than 'oversee' for the people central banks' schemes. So don't be too surprised if Mark Carney spares not a thought for democracy, that passé idea that central bankers are public servants. 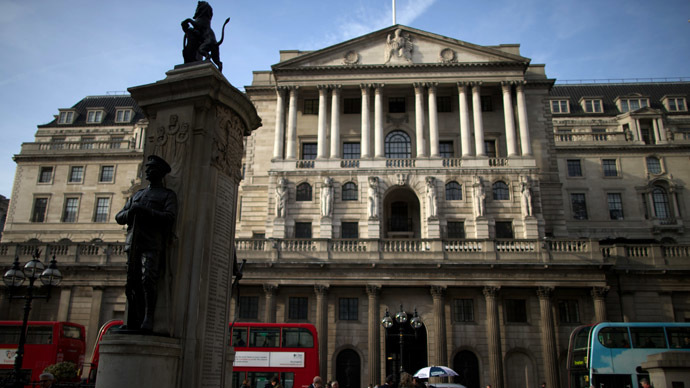 The extraction of Britain's central bank from democratic oversight was rubber stamped in a 1997 deal which brought Britain's left-wing Labour party into power. Her Majesty's Treasury became a wholly-owned-subsidiary of the City Of London. The so-called 'Prawn Cocktail offensive' was waged by 'luvvies' from an embryonic 'New Labour' on The City of London and a Faustian pact was sealed. The City financed Labour's rise to power and arm-twisted the press, in exchange for Gordon Brown's first act as newly elected chancellor of the Exchequer: he gave up the power to set interest rates. So back to Carney's Swiss bosses at the centre of the global banking spider-web. Why hasn't the BIS been central to the debate on the global financial crisis? Why a journalistic black hole in the heart of the global economy? Money doesn't just talk, it also shuts mouths, so it is glorious to see the publication of the world's first full-length investigation into the Bank For International Settlements at the moment of Carney's investiture. Adam LeBor's new analysis of the BIS: Tower of Basel, The Shadowy History of the Secret Bank that Runs the World sounds like the stuff of political thriller feature film conspiracy drama. Populated by power-hungry characters William Tell and his companions would delight in speedily doing away with. It conjures up folkish tales of 'The Gnomes Of Zurich'. Alpine schemers who secretly fund a shadow power network, buying off, or bumping off, kings, army officers, cardinals, writers, anyone who stands in their way. So how far are Carney's 'Beasts of Basel' from the 'Gnomes of Zurich? Not far. The pre-war BIS helped fund Nazi Germany's arms build-up. LeBor points out the BIS took dubious gold deposits and provided Hitler with desperately needed foreign exchange during the war. Like the medieval Knights Templar, he explains, BIS headquarters is an extraterritorial jurisdiction subject neither to Swiss nor international law. So is Carney really that big an extra-judicial Swiss cheese? LeBor doesn't mince words, he considers Carney's role at BIS has been 'pivotal'. At Canada's international post-war Bretton Woods conference US Treasury Secretary Henry Morgenthau and his assistant Harry Dexter White detailed the Nazi aid and got a resolution passed demanding the liquidation of the BIS "at the earliest possible moment". This was despite a supposed ally, Bank of England governor Montagu Norman, working against them behind the scenes. This unequivocal decision to dissolve the bank that had been Hitler's lifeline was discussed and delayed, but never implemented. The resolution lacked a time limit, demonstrating, to those who have eyes to see, that the BIS was and remains above any law. Back to the present then and ballooning debt generated by financial institutions, deregulated by Mark Carney is sucking wealth out of the pockets of billions of ordinary people and into rich savers and investment bankers' casino economy. Everyone knows this death spiral of debt is wrong. High Street banks have become institutional loan sharks opening up massive inequalities, blaming voiceless victims and establishing the social climate for fascism. In the heartbreaking world they made an early death awaits all vulnerable souls, the elderly and disabled. The mass wage slavery of modern capitalism was made in England. After the Merchant Class won the English Civil War of the 1640s they began to force Britons off newly privatised land and into the factories of the industrial revolution. Ever since we, and other countries after us, have been trained to depend on money for food, drink and shelter, for our very lives. Just as in the 1930s that lifeline is in peril and our eyes are not on the BIS ball. As the unfettered incisors of Britain's new Dracula sink in we will have to learn the hard way again. Until a stake is driven through its heart this central bankers' cult will have sharper political teeth than anybody we can elect.